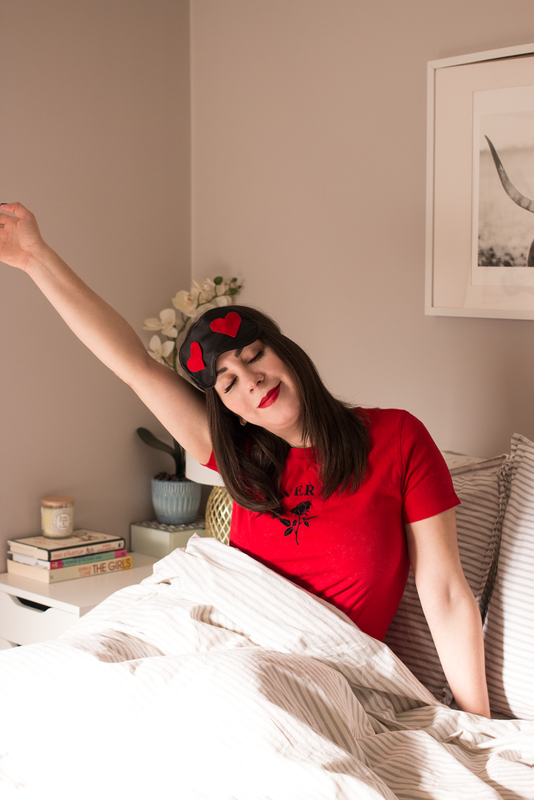 It's been a hot minute since I last did a DIY over here— December 8th, to be exact— so in the spirit of this upcoming Valentine's Day and all things girlie, I thought it would be fun to make a heart-eyed sleeping mask reminiscent of this fancy Morgan Lane one. 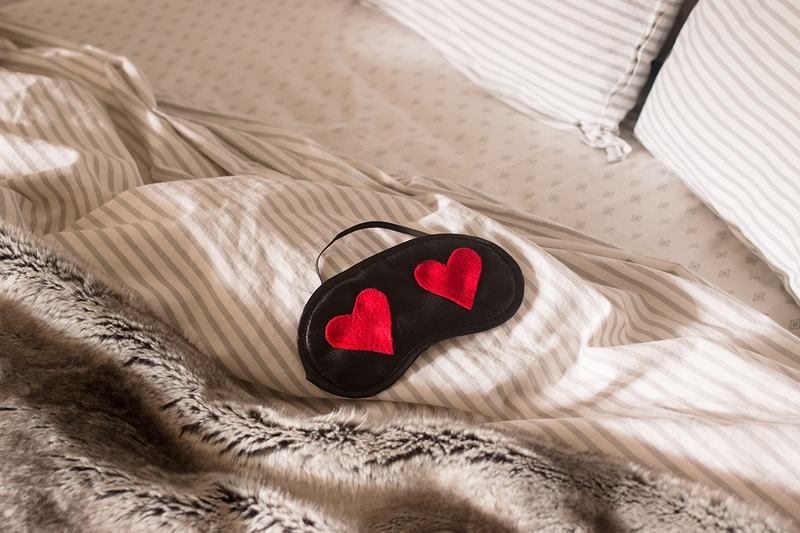 This project is super quick and easy, affordable— we're talking a fraction of the price of the designer version— and makes a great gift for a girlfriend, romantic partner or heck, even yourself (my typical gift recipient of choice... wink wink). 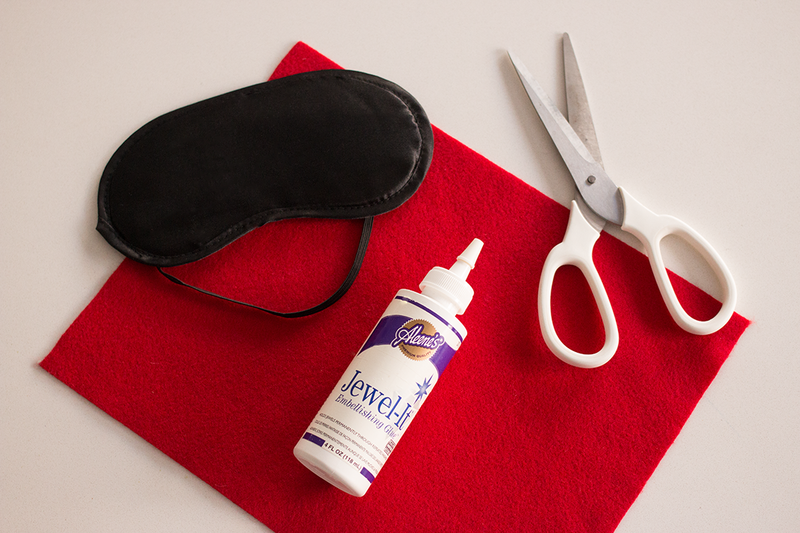 So with that in mind, let's get to crafting, Valentines! 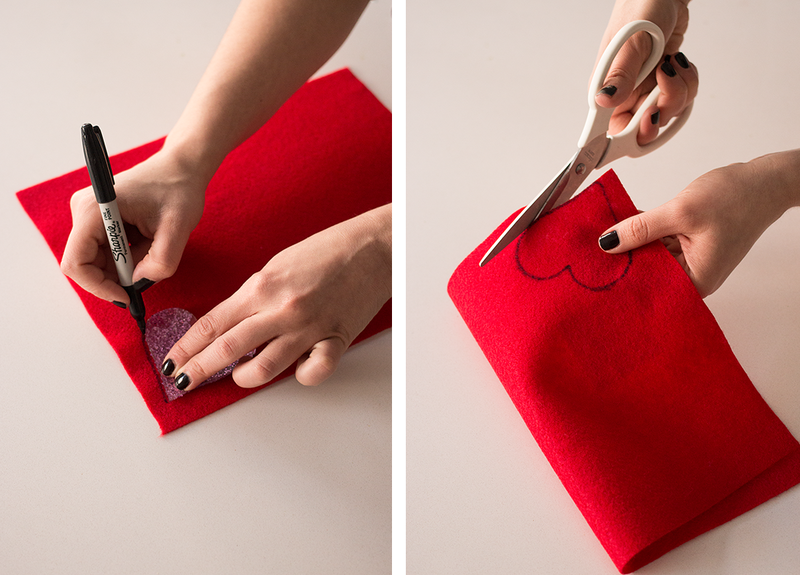 To start, this DIY will be made a whole lot easier if you have some kind of heart shape to trace onto the felt; unless you have a steady hand and are feeling brave (remember, you need two identical hearts here), trust me on this one. A cookie cutter, trinket, or whatever heart-shaped item you have on hand will work great— feel free to get creative on that front. I, for example, used a remnant from a super old DIY to trace mine... I'm almost embarrassed to share the link with you, but hey, we're all friends here, right? *cringe* Anyway, trace two heart shapes onto the felt using a sharpie and cut them out. Boom.